Digitalcongo.net | Elections in the DRC: Joseph Kabila creates a great electoral political coalition called "Common Front for Congo"
Elections in the DRC: Joseph Kabila creates a great electoral political coalition called "Common Front for Congo"
Kinshasa 08-06-2018 Politics - The advent of this broad-spectrum group is a major political event that looks like an earthquake. Even before obtaining its birth certificate, the Common Front for the Congo predicts the recomposition, the overhaul or even beyond the traditional kabilie. Election deadlines oblige! 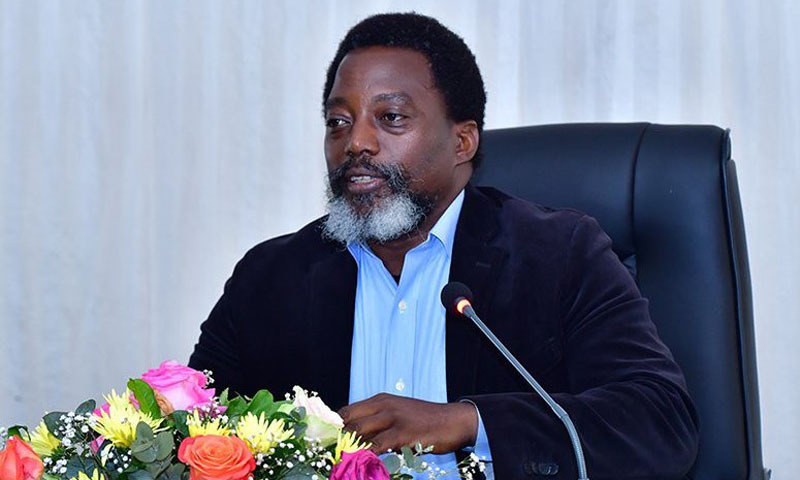 The Cabinet chaired Thursday at the Kingakati natural Park by the President of the Republic, Joseph Kabila Kabange, unanimously adopted the creation of a large electoral political coalition, called "Common Front for Congo "(FCC) whose signature of the Charter will come shortly. According to the report made by the spokesman of the government and Minister of Communication and Media, Lambert Mende, the objective of this Charter will be to allow its members to participate on the basis of a common program for the democratic conquest of the country of the power at all levels of the polls. He stressed that coalition members will support a single candidacy for the presidential election. For this purpose, the President of the Republic remains the initiator and the moral authority of the FCC. Mr. Lambert Mende said in this regard that each member of the big coalition retains its autonomy in respect of the Charter and remains open to political parties and social forces. We knew the land of Kingakati Nature Park hyper fertile. Everything grows there. From corn to cassava leaves, including peanuts. What one could not suspect is that one day, from the soil of this presidential farm, a political team unimaginable until recently would spring. Yet this is what happened with the birth of the Common Front for Congo. The advent of this broad-spectrum group is a major political event that looks like an earthquake. First of all, because in view of its size, the FCC is already posing as a vast pole on the Congolese political scene whose field would go from MP to Rassop / Kasa-Vubu, through other political groupings from the opposition. In addition, the legitimist reflex of home should ensure that additional vocations are born to join this broad coalition. Moreover, the new platform is open to political parties and groups, independent personalities and civil society.